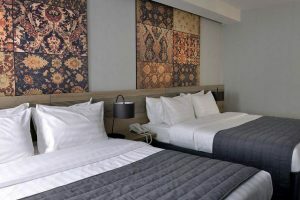 Republica Hotel is a 100% smoke-free boutique hotel in the center of Yerevan within 3 minute walk from the Republic Square and many tourist attractions. 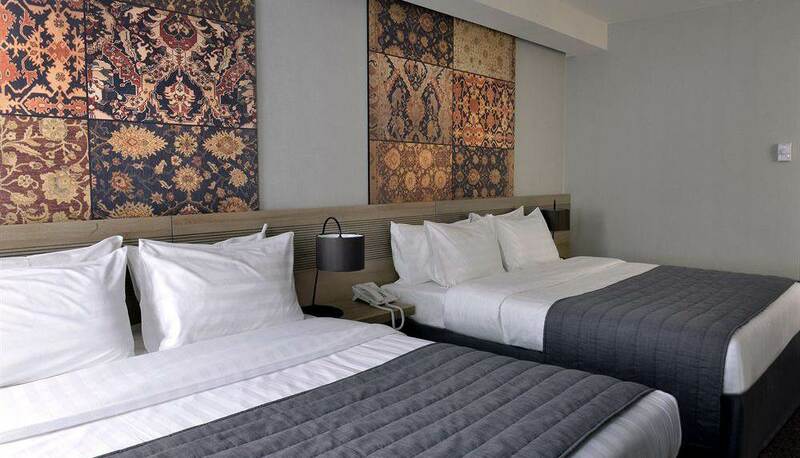 The hotel has 56 rooms of single and double occupancy as well as executive suites. Continental breakfast is included in the room rate. The rooms are equipped with with individual climate control, refrigerator, a safe deposit box and WiFi. Extra services include in-room dining, in-room massage service, bicycle rental, baby cribs and drop-off and pick up services. The Quanto Bastsa terrace cafe offers food, beer and desserts form 9:00 to 0:00. The breakfast buffet is served daily at the restaurant “Anush“. In the afternoon, the restaurant serves Armenian cuisine for lunch and dinner between the hours of 12:30 AM to 23:00. 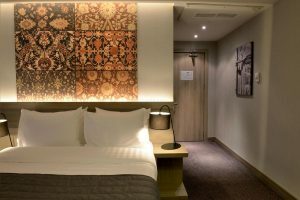 The design of boutique hotel is done with interesting solutions that combine the old and the new, featuring collages of ancient Armenian carpets kindly provided by Megerian Carpet manufacturer.